The BIG Question--Could the Bliley Electric and John Wolfskill's inventions have changed the communications industry a third time? The BIG Question:"Could the Bliley Electric and John Wolfskill's inventions have changed the communications industry a third time?" That is a pretty heavy questions and one not raised lightly. 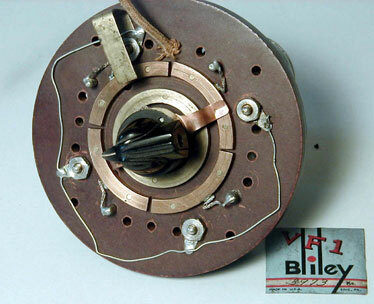 A Bliley engineer, John Wolfskill, was credited with inventing the highly influential overtone crystal (Patent 2,157,808) and the etch-to-frequency technique (Patent 2,364,501). 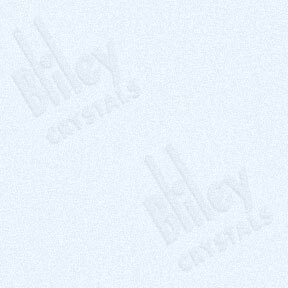 The last one become a U.S. Government standard for the procurement of crystals in World War Two and is still in effect today. My recent review of the early patents of John Wolfskill shows a clear pattern of advancement in the design and application of variable crystals that went beyond his original patent for a unit with a 7 kcs range (2,079,540) . These six patents include two that provide designs for variable crystals that would cover 200 kcs at 3,500 kcs. While this frequency range and examples in the patents reflect applications in the amateur radio market, they could easily be applied to HF radio communications in general. 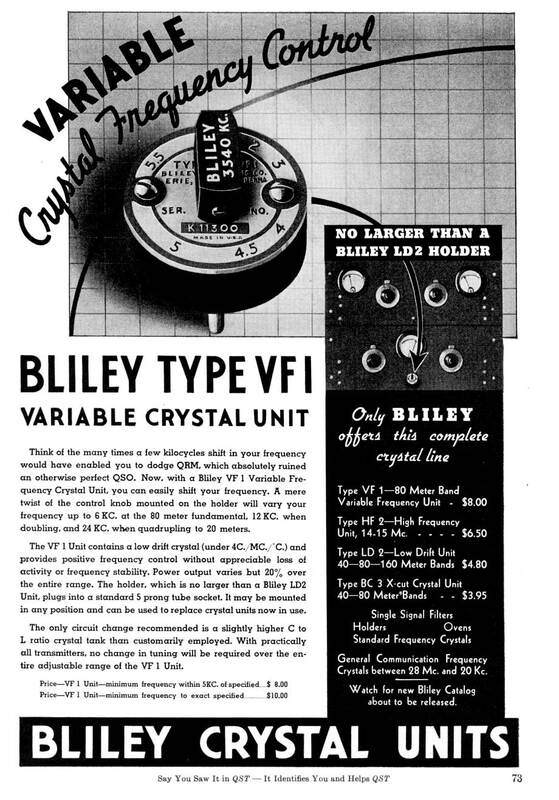 Bliley Electric produced two commercial versions of the variable frequency crystals for the amateur radio market--the VF1 (7 kcs range) and VF2 (12 kcs range). These successful products were complemented by a dual-crystal oscillator/excitor , the Vari-X, designed to allow the operator to switch between the two units and adjust the oscillator out for maximum output through the use of "tuning eye" tube. 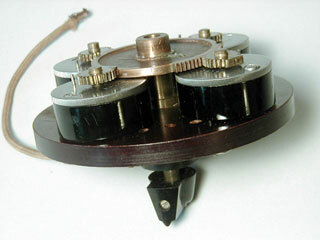 This oscillator was introduced in 1940 and sold in small quantities. In 1940/41, there was a flurry of engineering activity at Blileys. They received patents for two 200 kcs variable frequency crystal units and two oscillators, one of which used a mixing (beat-frequency) technique to move the oscillator's base operating frequency to any any desired frequency 2,240,450. This patent makes reference 15 kcs crystal, however, I believe the application of a 200 kcs variable could have been developed. Perhaps, a crystal engineer would verify this theory for me. 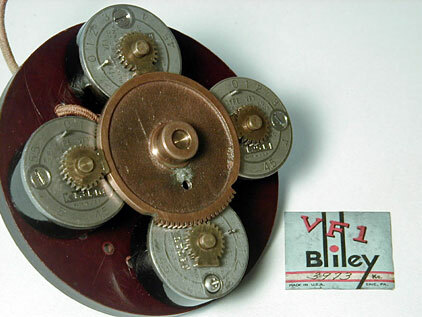 It is my contention that Bliley Electric was intending on commercializing these additional variable frequency products but their plans were interrupted by the demands of the World War II. 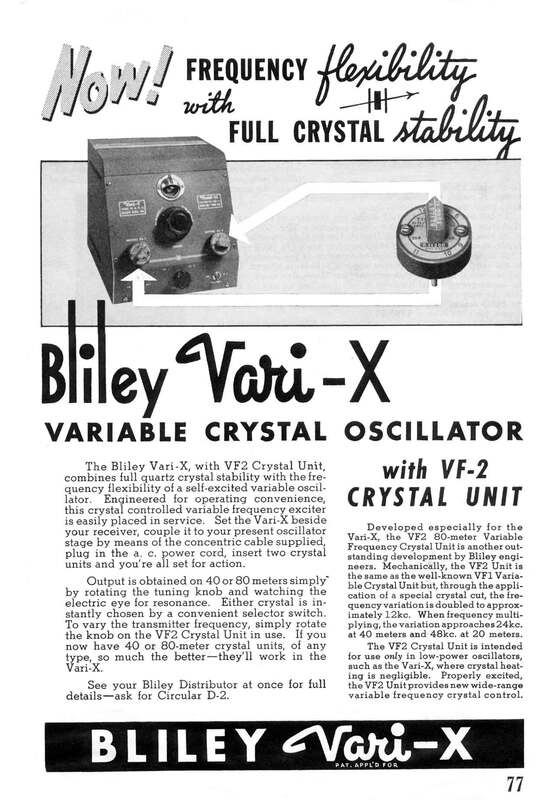 After the War, there was flood of millions of surplus crystal units after the War and the development of the variable frequency oscillator (VFO) made Bliley's variable frequency technology uneconomical for the masses. What would have happened if the World War II had not come along and influenced the interests of millions of Americans? Would we have seen VXCO transmitters and receivers in the marketplace? How long would the technology be utilized? No one will ever know. What do you think? Read the patents and draw your own conclusions. Complete patents are provided on this site for entries with hyperlinks. Below are photos of what is likely an engineering prototype built to evaluate expanding the coverage of the VF1 units. It was found in the archives of John Wolfskill's estate.